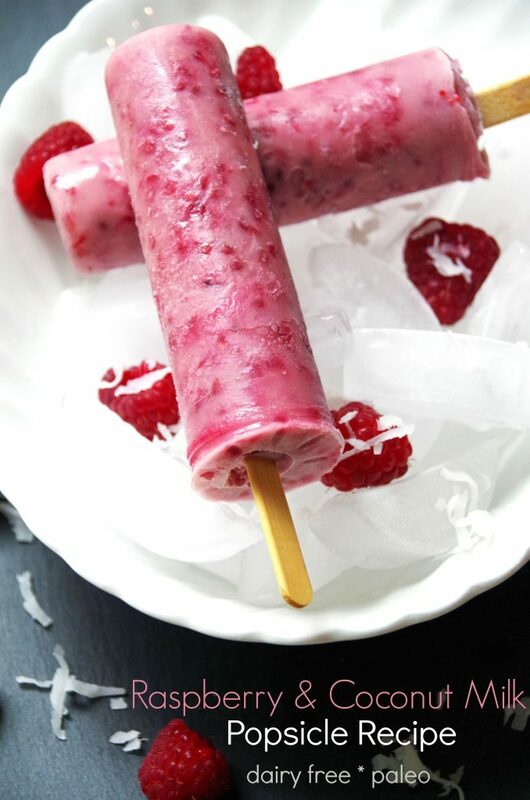 The last couple of weeks have been very chaotic here and this raspberry and coconut milk popsicle recipe is my way of denying that summer is coming to a close. You see, my children went back to school yesterday and while I am happy that they will be annoying their teachers all day instead of me…I am dreading the chaos that comes with another school year. Football games to attend for my daughter the band student, tennis matches to watch for my son. Homework, PTA meetings and chaotic mornings where we can’t find the right shoes in the minutes before the bus arrives. Well, I can’t do much about the upcoming school year chaos but this homemade popsicle recipe is certainly a tasty way to enjoy the hot summer days that the calendar says we still have to survive before the cool weather of fall gets here. Last week I bought a delicious frozen fruit bar from the grocery store. They were tasty but they cost about a dollar per bar which I thought was rather ridiculous. That’s the price you pay for ‘natural’ in today’s society. I could buy the artificially colored and flavored ones really cheap but I wanted real ingredients. 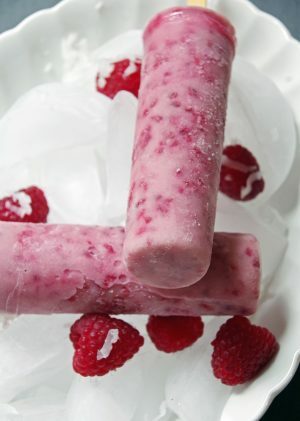 I decided to try this raspberry and coconut milk popsicle recipe to see if I liked a homemade version and I must admit, they came out really yummy! This homemade popsicle recipe is incredibly flexible and takes only minutes to make. I chose to use the low fat coconut milk but the high fat one might be a bit creamier. You can add just about any fruit you want, just keep the ratio of coconut milk to fruit the same. I’m thinking I might try a pineapple popsicle next time! If you want your coconut milk popsicle recipe to be completely smooth, blend the mixture longer. I wanted a homemade popsicle with lots of fruit chunks so I only pulsed the mixture for a few seconds before adding them into the popsicle mold. Here is my affiliate link for the stainless steel popsicle mold that I used for this recipe. They will last just about forever and the popsicle just slides right out when you run it under hot water for just a second or two. 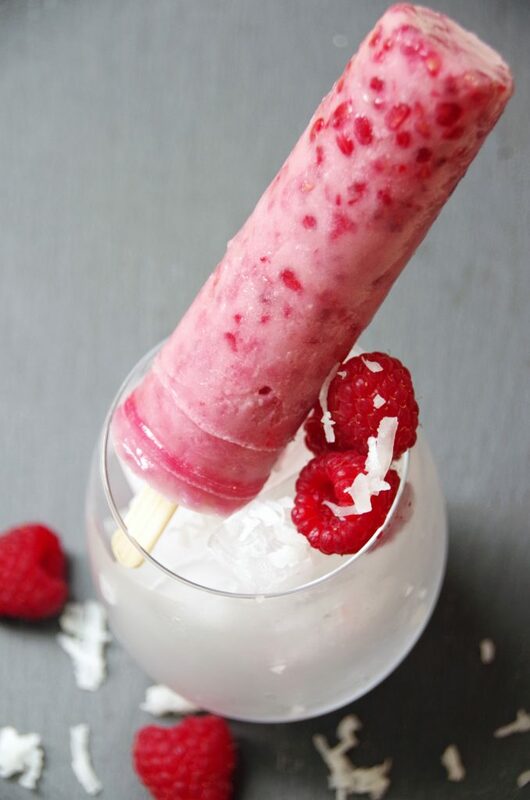 This raspberry and coconut milk popsicle is delicious. If you are looking for a healthy homemade popsicle recipe, you will love this one! 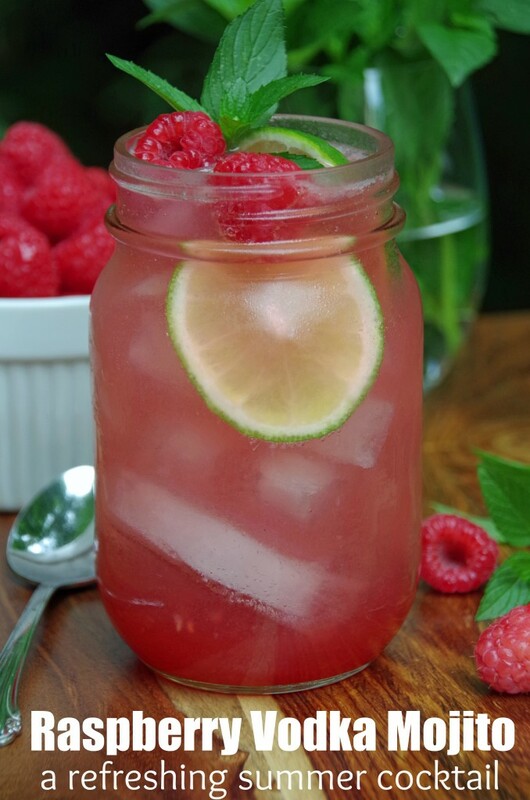 Make this Raspberry Vodka Mojito Recipe! Wow these look like a really delicious option to serve up to guests and enjoy on a nice hot day. Appreciate you sharing a unique recipe idea for us to snack on here. What a great combination of flavors! 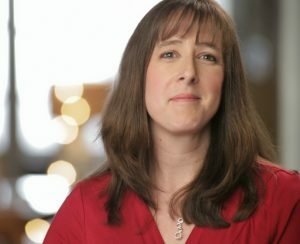 I've already pinned this and look forward to making it! I thought the flavor combo was delicious! This looks like an easy enough recipe idea to try. I Love Popsicles during the summer season and summer hasn't ended yet ! Nope, still enjoying a few more hot weeks! Those popsicles look so good! What I love best about them is the healthy factor. Coconut and fruit are both full of excellent health benefits. Oh yum! You covered everything on this one. The kids can enjoy the popsicles while the adults enjoy the beverage. Great!